Steve Wallace is a writer, artist, and designer living in Columbus, OH. 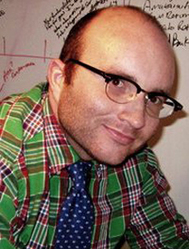 He has written and drawn a number of comic book short stories for anthologies like Reading With Pictures, Omega Comics Presents and Sequential Suicide. He has also self published a number of comics and is currently working on two table top RPGs - No Country for Old Kobolds and Sprawl:Touched.